The relationship you have with executive search firms can be the foundation of a successful career strategy or the death knell of your job search. Which way it goes largely depends on how you treat manufacturing recruiters in Milwaukee when they attempt to cultivate a relationship with you or help you find the right position for your climb up the corporate ladder. If you’re on the prowl for a better opportunity or a job that’s more in line with your values and eventual goals in the manufacturing industry, the Lawler Group is a valuable source of insight and aid. Nurturing a relationship with us is essential if you want to discover opportunities you might otherwise never find. To keep your relationship strong and mutually beneficial, keep these pointers in mind. Are you working with a search company that gets paid a contingency fee only after they successfully fill the job opening? Or is the recruiting agency partnering with the hiring company? If they are partnering, they are being paid a retainer to find the best possible candidates for upper level positions. Manufacturing recruiters in Milwaukee who are on retainer are employed by the hiring organization and as such they will only speak with you if you are an excellent fit for the position or positions they are attempting to fill. When you work with an executive recruiting firm, they are trying to match your qualifications with jobs that are a perfect fit for both you and the hiring company. Some novices are tempted to go directly to the hiring company once their resume or CV has been submitted. Don’t do it. Candidates who bypass recruiters after they’ve done the groundwork won’t be high on their recommendation list for the next position. They work hard to match applicants to jobs; trying to cut your recruiting firm out of the process tells them you’re unprofessional. Specialization is the norm in the world of recruiting. There are biotech recruiters, retail sales recruiters and manufacturing recruiters in Milwaukee as well as many others. 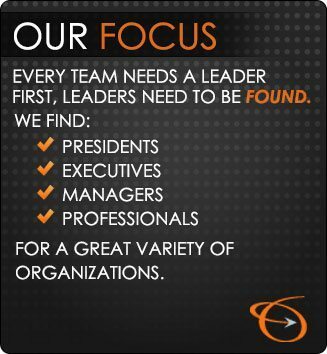 Be sure you’re talking to the right kind of executive search firm. You wouldn’t buy a dress from a fruit stand. Why would you hire an executive recruiter in the fashion industry to help you land a good job in the manufacturing industry? Look for manufacturing recruiters who are experienced in your industry. They will have a network of industry contacts and hiring managers who are relevant to your job search and will understand the nuances of job descriptions so that they can successfully match you to the right position. Ignoring a phone message from your recruiter for a day or two doesn’t make you any more desirable. Being elusive when he or she is trying to match you to a new job is disrespectful and pegs you as an inconsiderate amateur. If they tell you that a company reviewed your resume but isn’t interested in interviewing you, let it go. Arguing will only make them less inclined to want to help you in the future. Professionalism is the key. You’ll also need to be patient. If you’ve been waiting to hear back about a position, nagging manufacturing recruiters in Milwaukee won’t help. Recruiters work for the companies doing the hiring, not the other way around. The slow response is in all likelihood beyond their control. Don’t vent to them or waste their time with constant requests for updates. You don’t want them to see your phone number and dread talking to you. Whether manufacturing recruiters in Milwaukee were directly responsible for finding you a new job or they were only peripherally involved, keep in touch. When the Lawler Group is working to fill a new executive position, we’ll remember the candidates from the past who were professional, courteous and enthusiastic and we’ll be glad to give you a call. For more tips and to connect with us at: https://www.lawlergroup.com/contact-us/.